1 Story, 3 Bedroom, 2 Bath, ON THE LAKE, Formal Dining Room, Dual Vanity in Master, Separate Whirlpool Tub and Shower, Fireplace, Ceramic Tile in All Wet Areas, Granite Kitchen Countertops with Island, Stainless Steel Appliances, 42 Upper Kitchen Cabinets, Upgraded Lighting and Trim Packages with Crown Moulding, plus more...AVAILABLE NOW. Directions: From Houston: Take I-45 North, exit S. Loop 336 (Exit 84), make left. Drive for 1.5 miles to Sgt. Ed Holcomb Drive, take a left, and the community is immediately on your right. 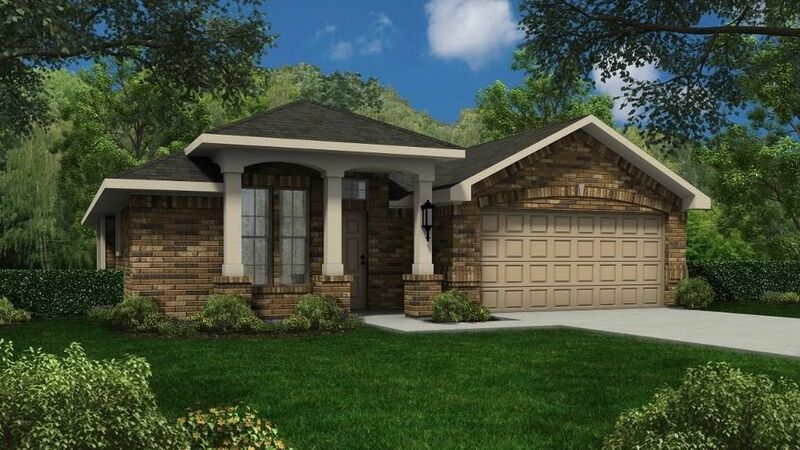 Model located at 402 Oak Stream Dr.